If you have a spare 5 minutes you should check out the art of Scott Campbell. 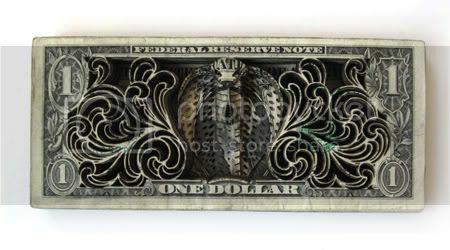 Scott works in New York as a tattoo artist but has also produced these incredible laser etched dollar bills. The intricacy of the design motifs work really well with the existing details of the note themselves. 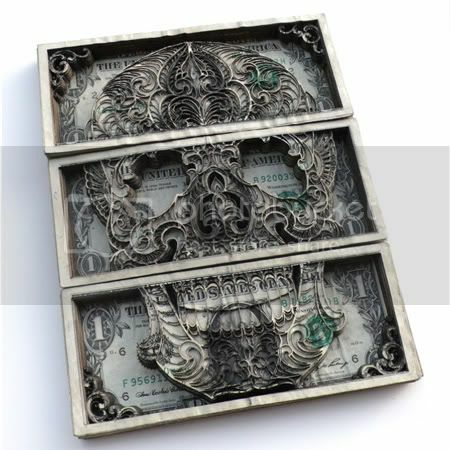 The intricacy of the design motifs work really well with the existing details of the dollar bills. 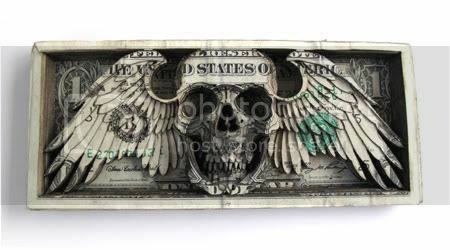 The sinister nature of the images projected onto the dollar bills really gives you a sense of unease and distrust.